Many first and second generation Asian immigrants experience acculturation challenges to varying extents. These challenges, such as language barriers, racial discrimination, underemployment, the loss of support networks and changes in family role and structure, may exacerbate a myriad of mental health issues. In addition, their help-seeking behaviour, as shaped by a general adherence to a collectivistic worldview and indirect communication style, often creates challenges for the practitioners who are trained under a Western practice modality. 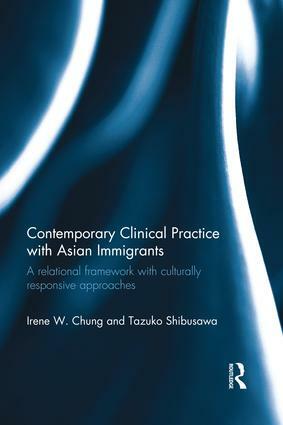 Drawing on literature from English-speaking countries with sizeable Asian immigrant populations such as the United States, Australia, New Zealand, Canada, and the United Kingdom, this text is designed especially for clinicians and students working with Asian immigrant populations. It discusses the therapeutic process in psychotherapy and counselling with these clients, exploring both key psychodynamic constructs and social systemic factors. Building on contemporary relational theory, which emphasizes the centrality of the helping relationship and sensitivity to the client’s subjective realities, the book demonstrates how western-based concepts and skills can be broadened and applied in an Asiacentric context, and can be therapeutic even in social service and case management service settings. There are chapters on issues such as domestic violence, intergenerational conflicts, depression amongst elders, and suicide, discussing the prevalence and nature of the mental health issues and each containing case vignettes from various Asian ethnic groups to illustrate the application of relational approaches. This book is an important cross-cultural reference for practising social workers and counsellors as well as for social work students undertaking clinical practice courses.